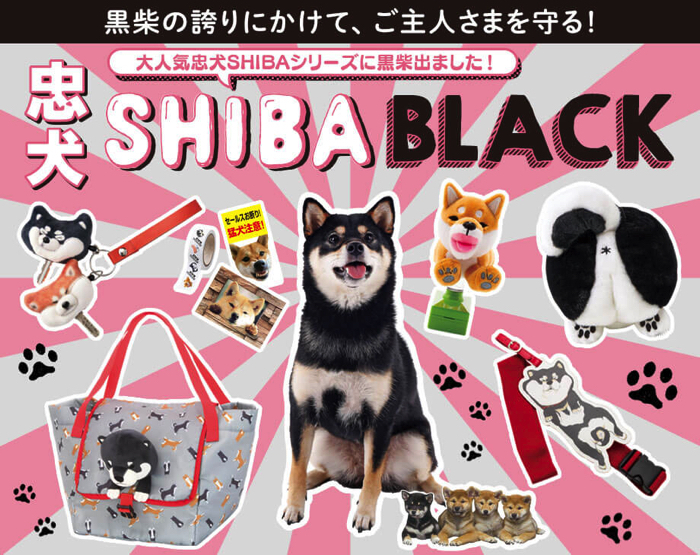 FELISSIMO started selling a new product, “Chucken SHIBA BLACK” using the motif of “kuro shiba dog” as one item in the “Chuken SHIBA” series from the 13th of December. 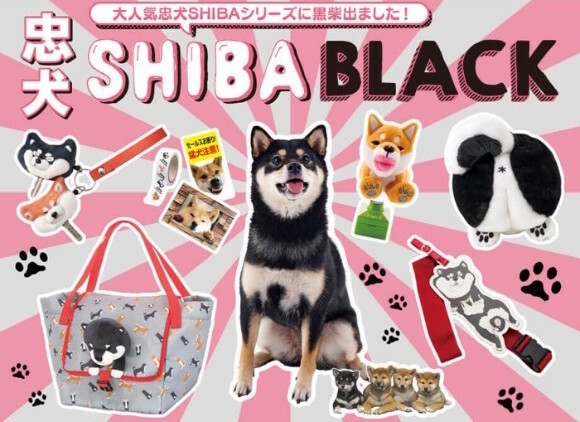 The products using the motif of shiba dog, “Chuken Key Cover,” “Chuken takaramonoire (treasure box),” “Chuken Carry Bag Belt,” “Chuken Sticker Set,” “Chuken Okaimono (shopping) Bag” and “Chuken Security Stamp” will be sold. “Chuken SHIBA BLACK” is a series of products using the motifs of black shiba dogs trying to protect their masters from problems. Their eyebrows are raised and they are full of excitement. They are energetic and always on the go! 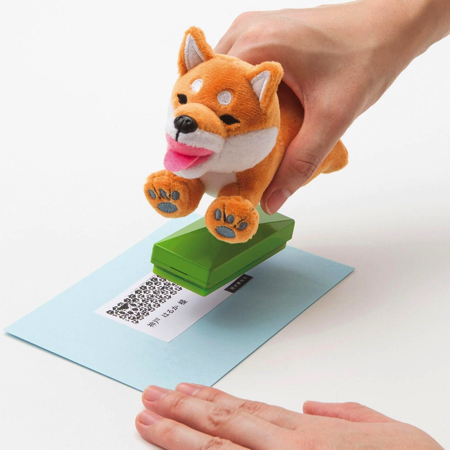 A reel-type key cover where the shiba dog protects the keys with a cute sign. 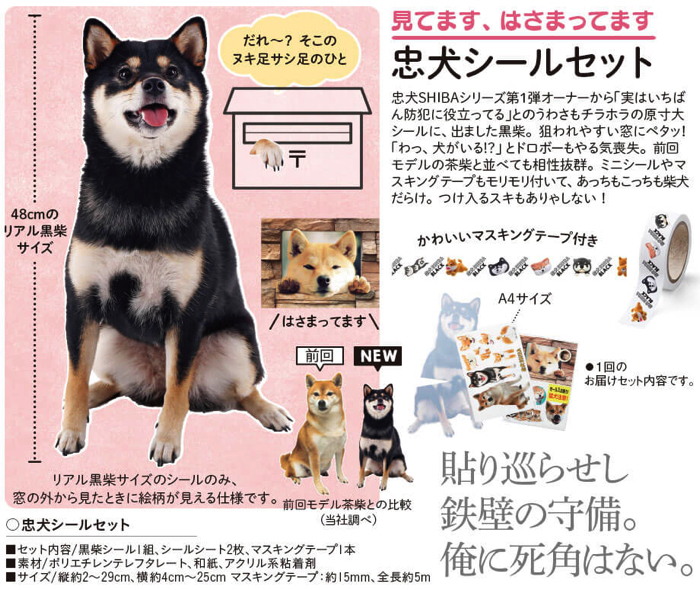 Two kinds are available, one is a black shiba dog and the other is a brown/purple shiba dog and therefore, you can become the owner of two shiba dogs, which is awesome! 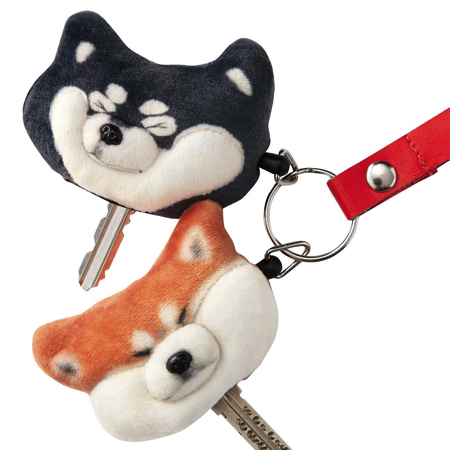 If someone suspicious tries to take the keys the dogs say “NO!” And if the owner of the dogs tries to take the keys… again they say “NO!” Let’s go out with these shiba dogs. The spongy texture of the product is so nice. 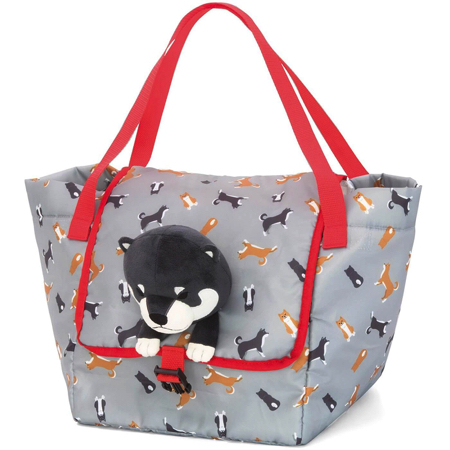 A product using the motif of shiba dog’s hip and a new version (black/purple version) was released. The look and the size of the product is just like the hip of a shiba dog and the dog howls when you touch its tail. A bad guy who tries to steel your treasure will run away for sure! This product is representing the scene where a dog is refusing to go out on walk but is dragged by its owner. The carry bag is very eye-catching, and you can prevent losing it by inserting a name card into the pocket. The pocket can be detached so that you can use it as an IC card holder. 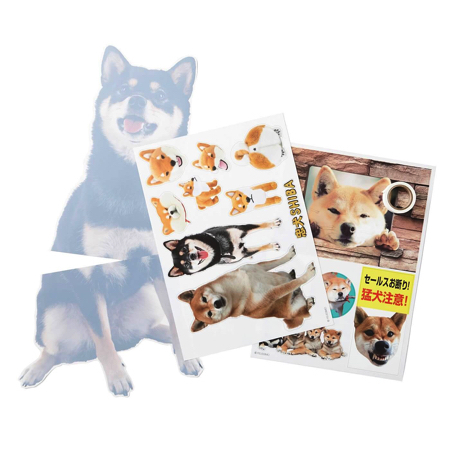 The black shiba dog version was added to the “real-size sticker” series which is useful to prevent crime. It is recommended to stick the sticker on the window so that a thief will run away. The combination between this new version and the previous model “brown/purple shiba dog” is superb. Mini stickers and masking tape are also available. Shiba dog putting its chin on the edge of the bicycle’s basket is so cute! A round face small black shiba will protect your luggage. 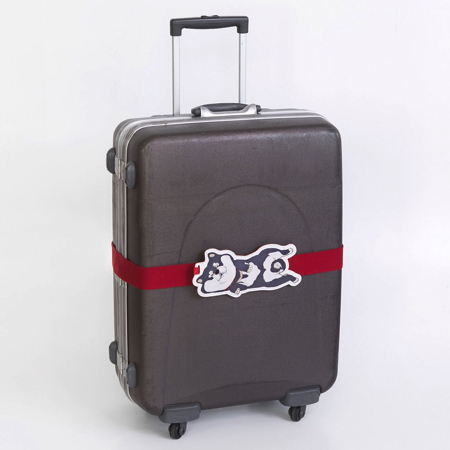 Bad guys will surely hesitate to steal your luggage when they see this cute shiba dog. The product can be used as a shopping bag so it is recommended for those of you who don’t use bicycle. “Shiba on the shiba (shiba also means sod)” is an item representing the scene where a shiba dog is running around on green sod. The dog is running at full speed and making a turn so that its body is all twisted. This is the scene of this illustration stamp. The shiba dog will step on your stuff with muddy paws such as DM and will protect your individual data. It will be nice to put this cute item on your desk. 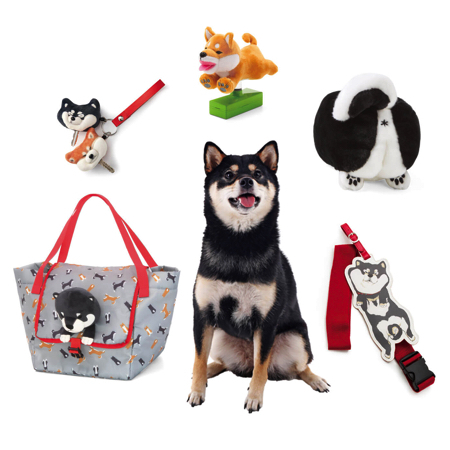 Why not get a feeling of healing with FELISSIMO’s black shiba dog products! ※The design and spec of each product might differ. ※The shipping order will be decided by FELISSIMO. ※The products will be shipped in six installments (six months) if you make a reservation now. In this case, you don’ have to make a reservation every month. Cute Giftworthy Shoebill Cold-Brew Coffee With Authentic Flavour!